Multi-colored “rubrication” throughout this volume. 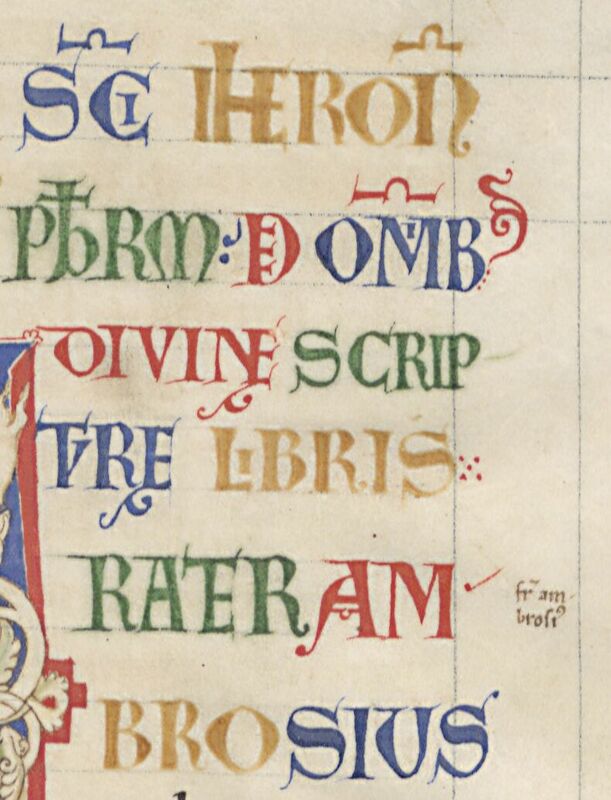 Some very interesting monochromatic large initials later in the volume. Bibliothèque nationale de France, Département des manuscrits, Latin 11548, fol. 1v.